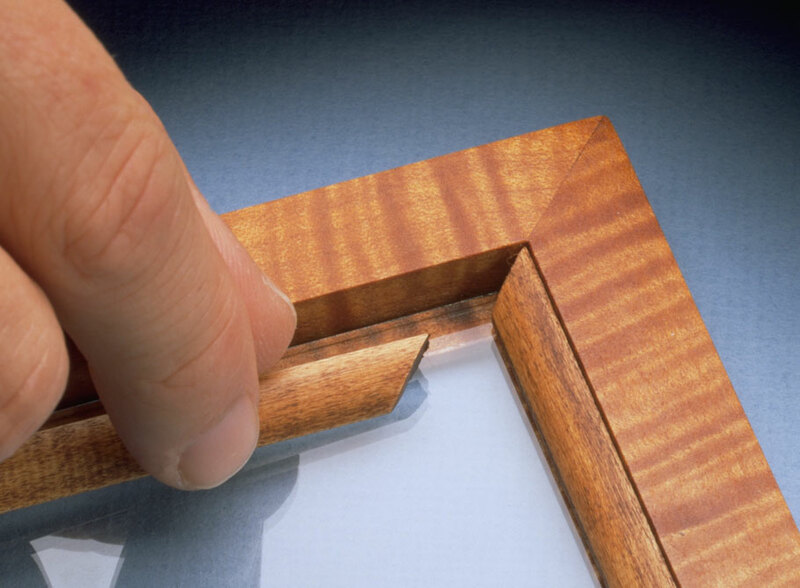 You expect a large project to attract a lot of attention. 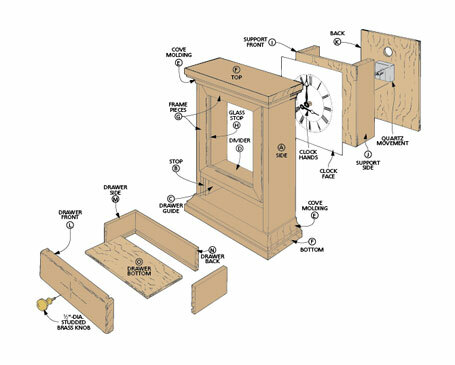 But sometimes, a small weekend project, like this mantel clock, can surprise you. 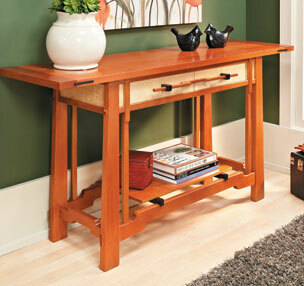 There’s no doubt about it — what grabs your attention right away is the dramatic curly maple. 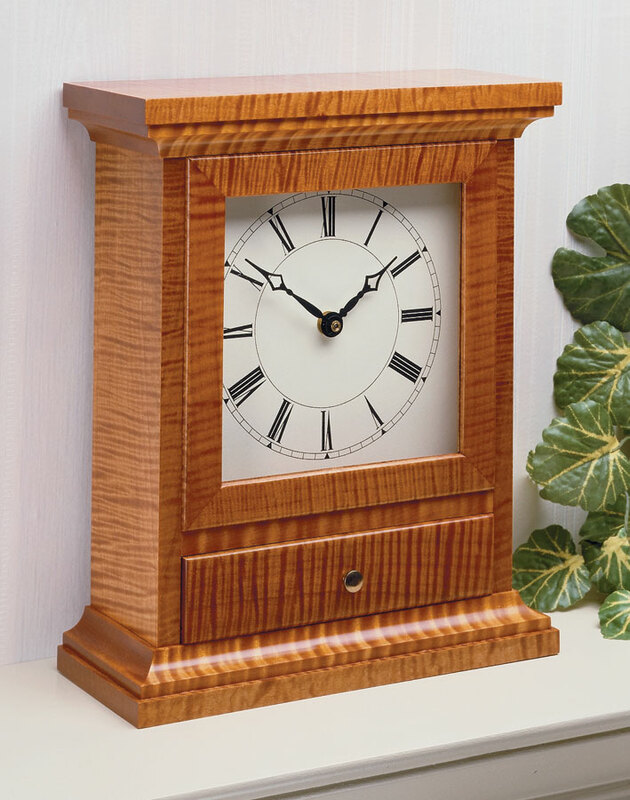 But the clean lines and simple molding of this traditional mantle clock would look great no matter what wood you used. 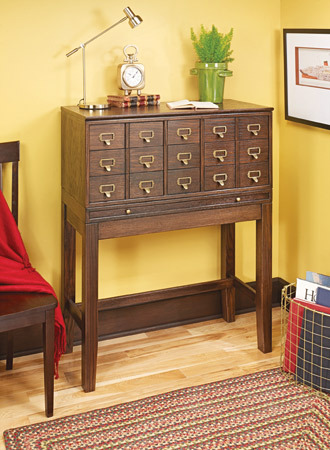 In spite of its elegance, there’s nothing very difficult about building this clock. 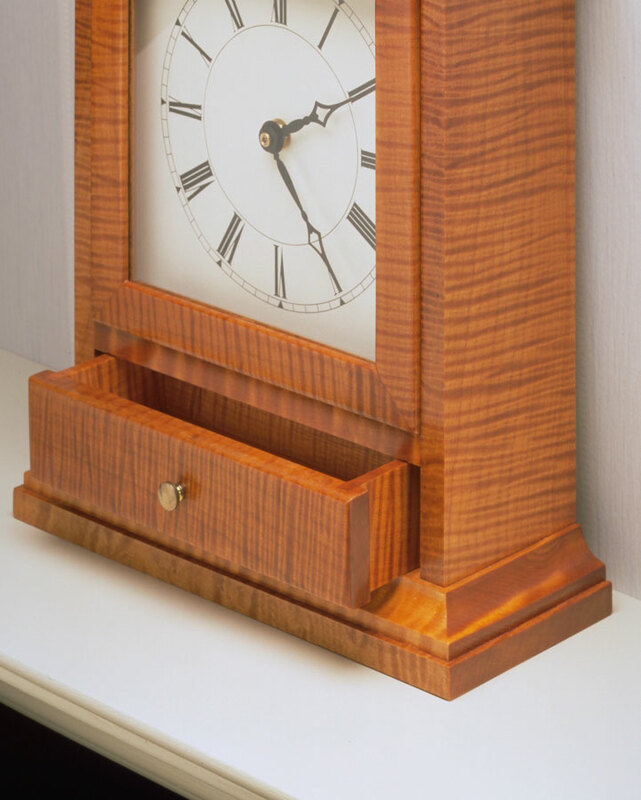 Everything is held together with simple joinery, and the face and quartz movement are readily available and easy to install. 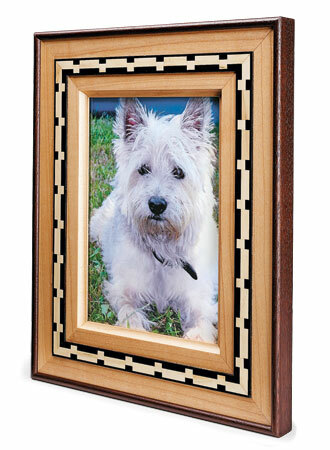 Adding a band of decorative inlay really spices up a simple frame.